Perth Pewter's Nudes series presents sculptures of some of the most beautiful models by some of the most talented artists. 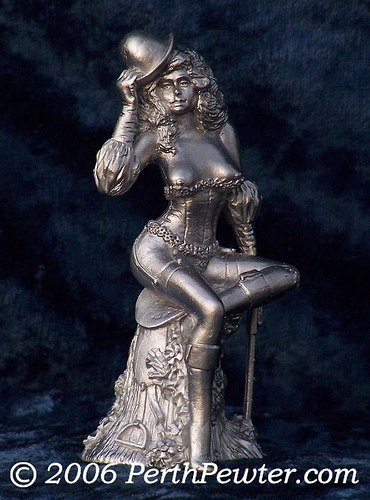 The Foxhunter is perhaps the most sought-after of all the Perth Pewter Nudes. A lovely reminder of days past, the enticing Foxhunter was sculpted by Jim Payette. Measures approximately 3 1/2 in. Tall.